Home Unlabelled Taapsee Pannu No Nore A Part Of Pati, Patni Aur Woh Remake? After impressing the audience with her performances in Pink and Mulk, to name few, actress Taapsee Pannu became one of the most sought after actresses in Bollywood. Earlier, it was heard that the actress to play a pivotal role in the remake of Pati Patni Aur Woh. But as per the latest reports flowing in, Taapsee is truly shocked as something unexpected happened to her. As reported by Bollywood Hungama, Taapsee Pannu is axed from the upcoming remake, without prior information to her. The actress also expressed her disappointment over producers’ behaviour and stated that even director Mudassar Aziz wasn’t aware of the same. The remake of Pati Patni Aur Woh is being produced by Juno Chopra and Abhay Chopra with director Mudassar Aziz. 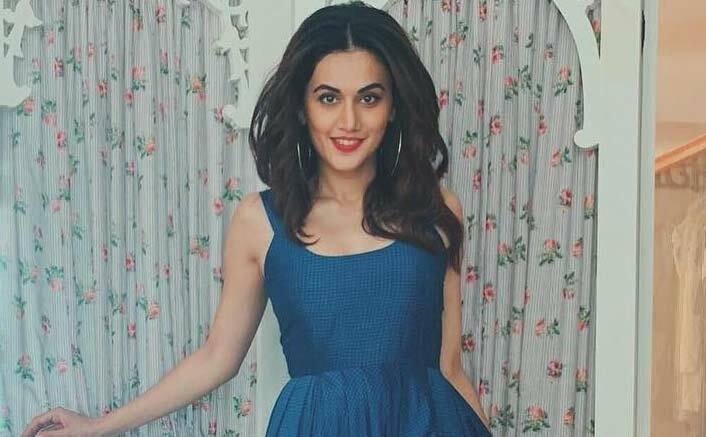 While, Sonu Ke Titu Ki Sweety fame Kartik Aaryan and newbie Ananya Pandey were apparently brought on-board to play the characters of Sanjeev Kumar and Ranjeeta from the original drama, the details about Taapsee’s role were not revealed. As per Taapsee, who is stating in several reports, she liked the script and gave a verbal nod and was the first one to be approached by the makers. The actress also adjusted her schedule to provide maximum dates to the project but it came as a shocker when she heard of being removed from the remake, without any prior information. Taapsee even contacted the director and was surprised by the fact that even Mudassar wasn’t aware of the reason behind her removal. Taapsee further mentioned, even though she is upset with the incident, it is an eye-opener for her and will choose the scripts wisely in the future.